I'm sure bread and milk for breakfast is a very meager diet. 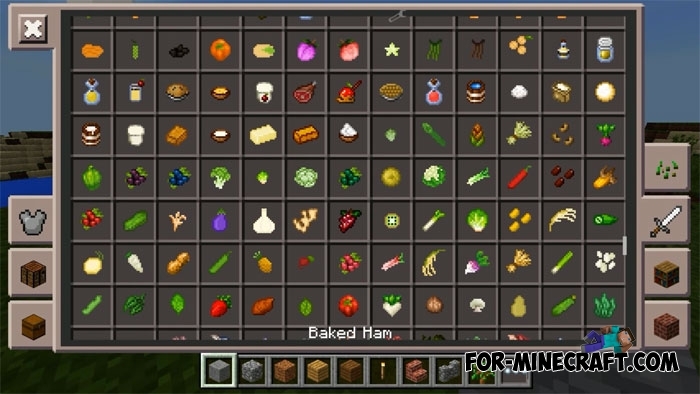 There are only a few types of food that are most often used by players in Minecraft Pocket Edition. To change the situation, you can download the Den's Tasty mod which adds about 200 new foods and cooking utensils! 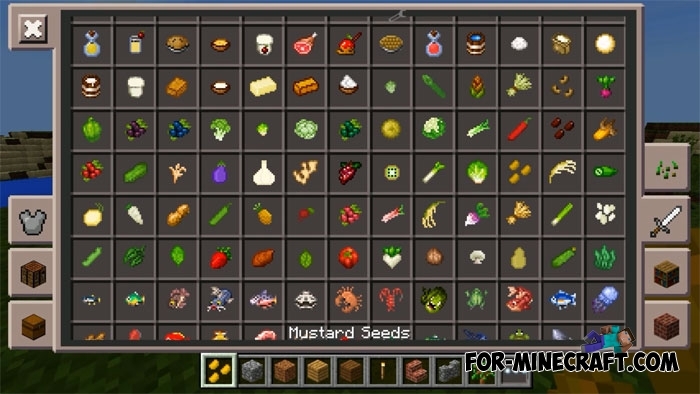 All food has beautiful icons and real names, as well as crafting recipes (see below). This is really the best mod for diversifying your kitchen table. You will need several hours to try all the food that is distributed into categories. There are different dishes, berries, spices, sea food, pastries, canned foods, snacks, a huge number of drinks, insects and much more. The mod is compatible with Minecraft PE 1.2.X. How to install the Den's Tasty mod? I really want to download this app but i think it's only for minecraft pe and i have windows 10. 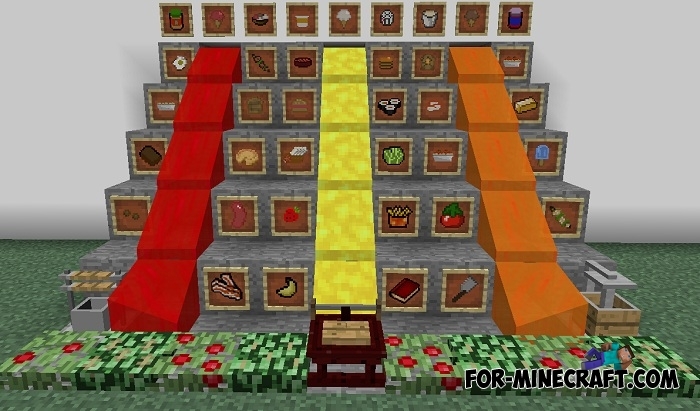 I really hate how every food mod i come across, it's always and ONLY for pocket edition. Correct me if I'm wrong please. Is the windows 10 version for minecraft able to be accessed by this "mod" ? Um... ok? I dont know how to get the mod really..